It may not have been the warmest of “Spring” days today, but the sun was out and shining bright! I got the inspiration for my outfit (pictured below) from a picture I stumbled upon on Pinterest of Sincerely Jules, one of my favourite fashion bloggers. 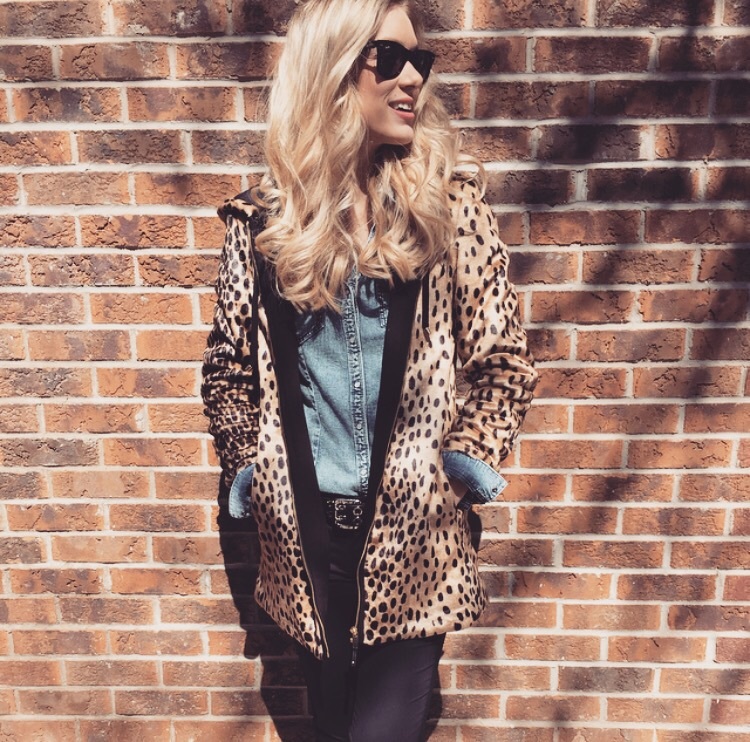 I’m a huge fan of anything leopard, and my collection of leopard pieces is continuing to grow! 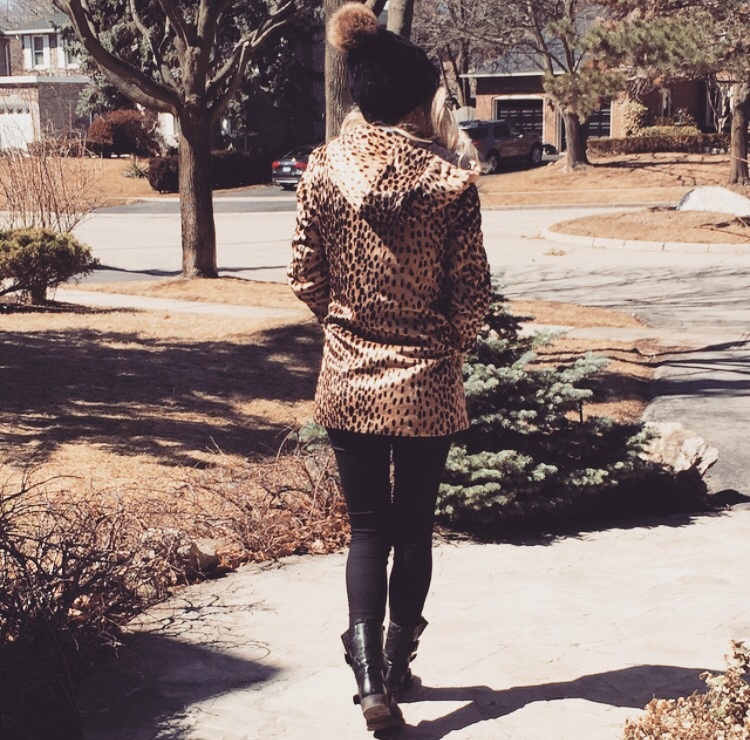 When I came across this long leopard hooded sweater from Zara I just knew I had to have it (it was also MAJORLY on sale!) It’s a pretty thick sweater so I went ahead and wore it as more of a jacket than a sweater and had a long-sleeve underneath. 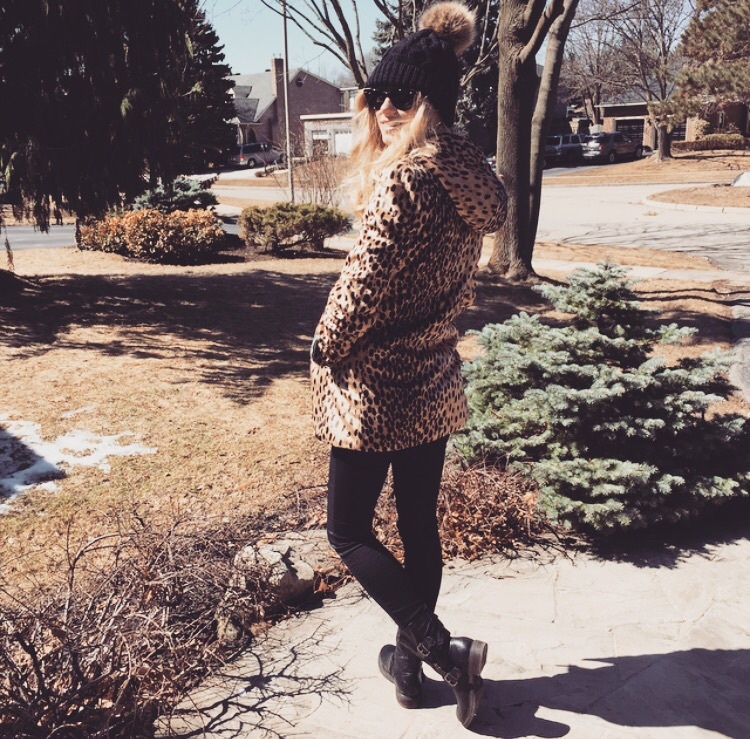 Sincerely Jules’ lovely leopard jacket is also a Zara find! I’d love to hear your thoughts about this outfit! 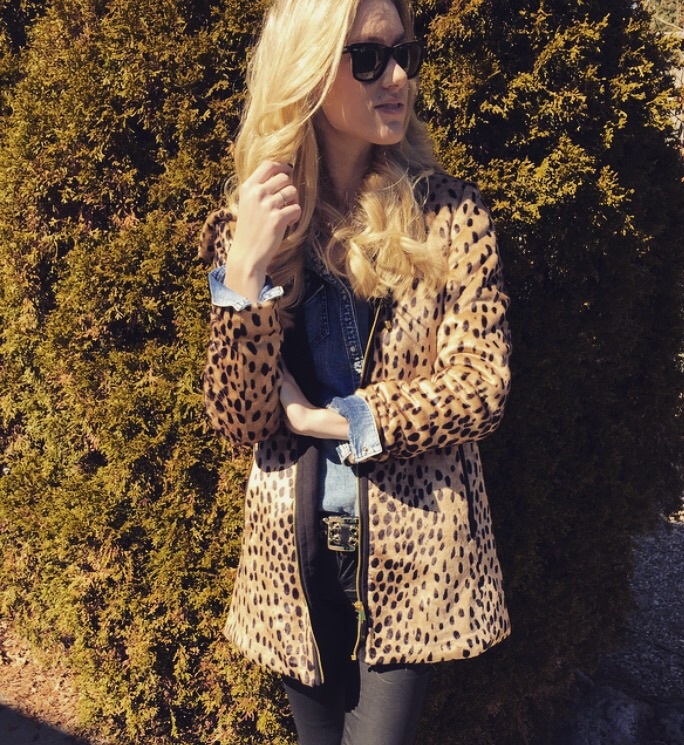 Love the leopard print and denim shirt combo – really great casual look. This looks amazing on you. Thanks so much, I fell in love when I saw it, love that it has a hood too!